The Duchess of Cambridge has given birth to a baby boy. The prince is fifth in line to the British throne. Neil and Dan teach you the language the world's media is using to discuss this story. 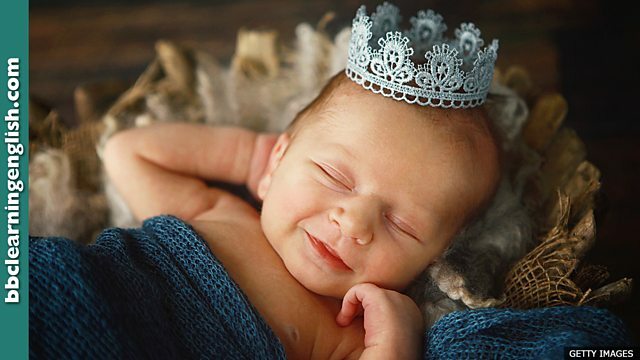 There's a new royal baby! The Duke and Duchess of Cambridge are celebrating the birth of their third child. The little prince is fifth in line to the UK throne. Neil and Dan bring you the language you need to talk about this story. Well-wishers cheered The Duke and Duchess of Cambridge as they left the hospital after the birth of their third child. But what exactly is a well-wisher? Here in Britain, Prince William and his wife, the Duchess of Cambridge, have left the hospital in London where she gave birth to their third child. The baby boy is fifth in line to the throne. Well-wishers cheered as the family appeared in front of the press before they drove off to Kensington Palace. A statement said Catherine and her new son are both doing well. The CEO was forced to resign when the scandal unfolded. No one knew how the situation would unfold, so everyone kept quiet and waited. I voted to stay but I was outnumbered by those who wanted to leave. City were outnumbered by United after their defender was sent off. Is the birth of a child a dramatic event? 'The word 'unfold' is often used to describe dramatic events.' Is this statement true, false or not mentioned in the programme? Think about active and passive verbs. There are more women than men in Europe. Which sentence does NOT express this?